This entry was posted on August 6, 2013 at 8:58 pm	and is filed under Artifacts. Tagged: Coal Mining, Congo. You can follow any responses to this entry through the RSS 2.0 feed. You can leave a response, or trackback from your own site. Lived in Congo when I was a kid from 1954-60. The coal tipple in this photo burned down in the Summer of 1957 and in addition to a rather serious fire (all that coal lying around) gave us more than enough excitement. The mine had closed in 1954 so it is unclear to me what caused this. Whatever, it certainly went out in a blaze of glory. In the 1960’s Peabody Coal Company strip-mined the entire area for the remaining coal, after which they replanted and allowed the “creek” to fill up the basin. As you look at the peaceful lake, you’d never know any of that structure was ever there. 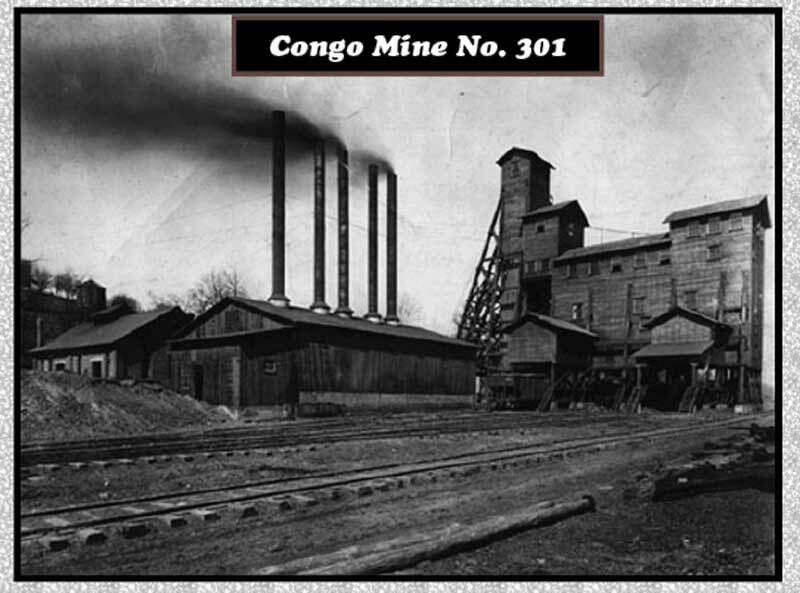 A fellow ex-patriate wrote “Reflections of a Congo Coal Miner’s Daughter”, a website worth a visit.